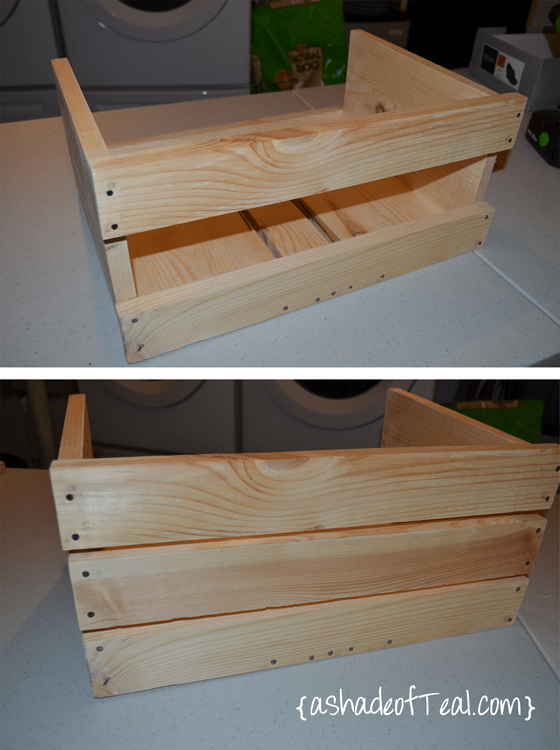 I was looking for cheap wooden crates for awhile and had no luck, so I decided to make my own! 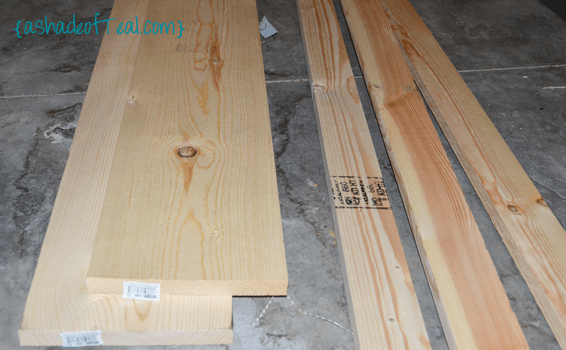 First, I bought some strip wood from Lowe’s. These are only about $2-3 per small piece and $6-10 for the wider pieces. I then made my cuts. 1. 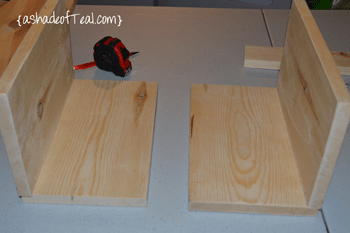 Starting with the sides, I cut (2) pieces 12″x7″. 2. Then I cut the front & back pieces, which were 2.5″ x 18″. I cut 6 of these. 3. 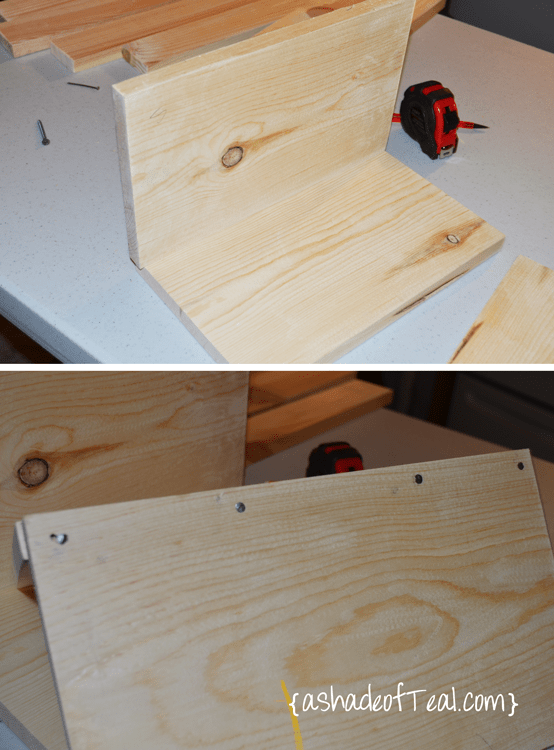 Last I cut the bottom, (2) 12″x7″ pieces and (1) 2.5”x12”. Next I started building. I took a side piece and attached it to a bottom piece with nails. I did this for both sides/bottoms. I then added one of the 2.5″x18″ strips to one side. Next, I added the small bottom piece, and finally another side strip to the other side. I added the remainder front/back strips, 2 more per each side; and complete! Once all the pieces were cut, building only took about 10 minutes. 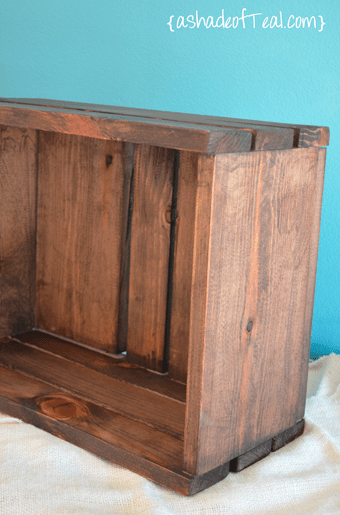 Now the finishing…I tried staining it with a homemade tea stain which consisted of vinegar, tea bags, and steel wool. This was the result. I wasn’t happy with it so I ended up using Minwax Stain in Dark Walnut. 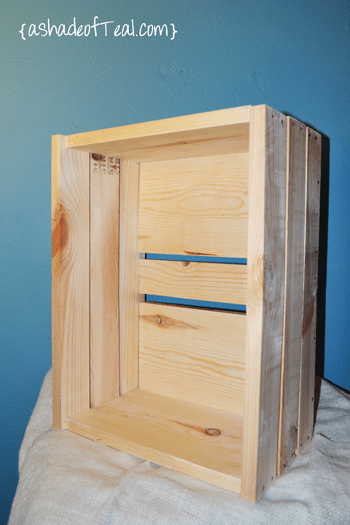 I have spent the better half of my day looking to buy wood crates without breaking my wallet with no luck. 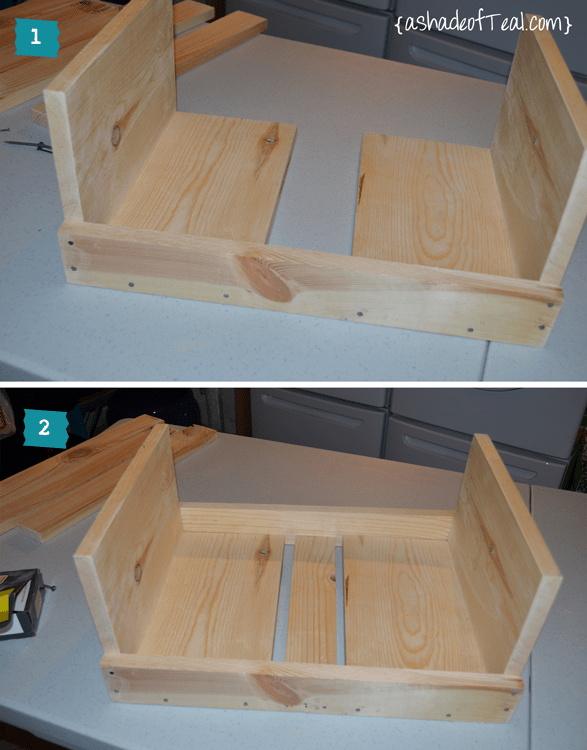 After finding your site my husband and I are n our way to Lowes and will be making these all weekend. Thank you. What do you think was the final cost of the box unpainted? Hi Heather! I think the wood was under $10 total. Then I already had nails and the stain. 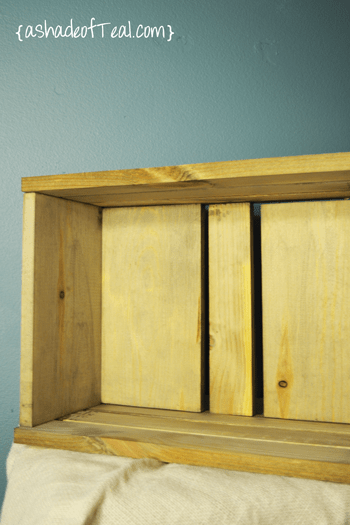 could you share the finished dimensions of the crate? It’s about 13 3/4″ wide x 18″ long and 8 1/2″ tall. Hope this helps! Looks great. 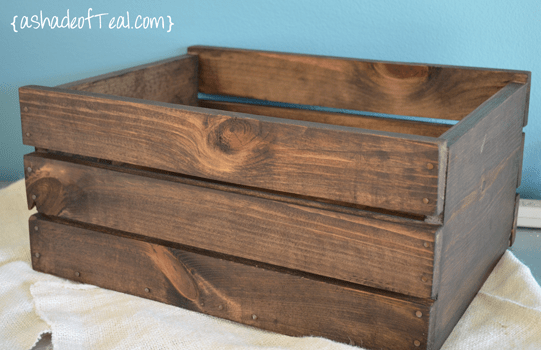 I’m going to try making them using old pallets. How much would you say the total cost of each crate was?